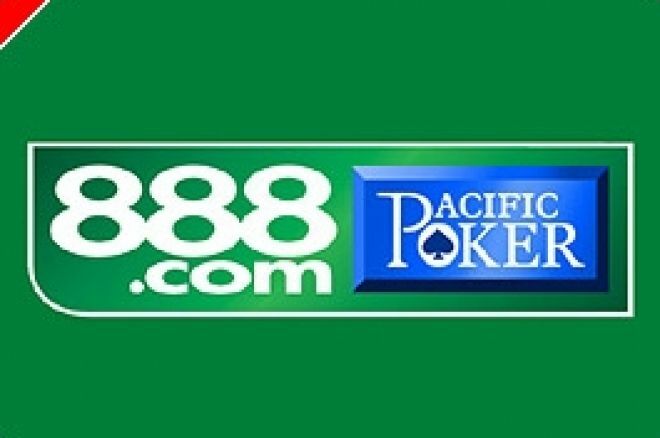 In a statement to its Annual General Meeting today, 888 Holdings plc, the stock market quoted group that owns Pacific Poker and 888 Casino, said that all of its key numbers had continued to increase, especially outside of the US. 888 & 888Sport says it remains upbeat about the coming year. - Net Gaming Revenue rose to $84 million, an increase of 42% above the first quarter of 2005 (Q1 2005). - Net Gaming Revenue from casino increased to $45 million, an increase of 15% above Q1 2005. - Net Gaming Revenue from poker rose to $39 million, an increase of 95% above Q1 2005. - The number of active members was 319,374, up 23% on Q1 2005. - The number of Casino active members - 80,947, marginally up on Q1 2005. - The number of Poker active members - 238,427, a 33% increase on Q1 2005. - Monthly poker rake (rake from ring games plus tournament fees) in March 2006 was 66% higher than March 2005. - In Q1 2006, quarterly Net Gaming Revenue per active casino member was $554 compared to $419 in Q4 2005 and Poker quarterly Net Gaming Revenue per active member was $162 compared to $156 in Q4 2005. “888 had a positive start to the current year with an improvement in net margins. The first quarter was seasonally strong and we anticipate the historical seasonal pattern to continue into the second and third quarter with margins more akin to historical levels. Growth in the US continues yet we are growing faster out of the US, gradually reducing our dependence on the territory in line with the company's long term strategy. In April, the group released a new Poker product introducing a new multi-hand feature which is expected to drive Poker growth. The new Casino product, introduced in January, was well received and is performing well. In May the group expanded its platform offerings with the release of the Casino product to mobile phones. In April, the Group received increased media exposure driven by the 17 day 888.com World Snooker Championship and the progress of Middlesbrough FC to the UEFA Cup Final. We continue to drive our business for long term sustainable profit and overall we remain confident of making good progress in the current year. 888.com is headquartered and licensed in Gibraltar with further offices in Tel Aviv, Antigua and London. It has over 23 million registered member accounts in over 177 countries worldwide. In October 2005, 888's shares were admitted to the main market of the London Stock Exchange with an initial market capitalisation of £590 million. Ed note: Download Pacific Poker with the Bonus Code UKPNEWS for the chance to play in the Team Poker News WSOP Freeroll!